Clarets are traditionally a bit more concentrated then a Rosé, they can be a fantastic accompaniment to a late spring/summer barbecue or picnic. Pierre Duberge took over his family’s 100 acre Saint Sulpice estate in 1970 and has been joined by his son Christophe since 1986. With a focus on high quality and respect for the environment, they practice sustainable viticulture, employing methods such as working the soil traditionally and without the use of chemicals, modernization of their wine cellar with stainless steel tanks, and significantly limiting the use of oenological products during production. 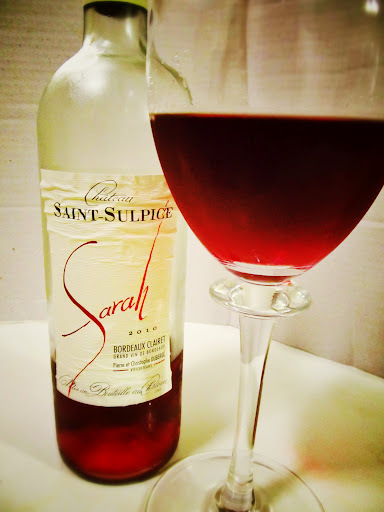 Transparent bright cranberry colour, aromas of dried cherry swirled about in the glass. Tart cherry flavours were mellowed by soft raspberry notes in the light to medium body. Stony tannins, spicy white pepper and subtle ginger notes amplified the snappy finish. This is a refreshing glass in the warmer months that enjoys accompanying a light meal.